This is from the reincarnated website of Denise Augostine. I cannot give a direct link to the pattern, but here is the homepage of Denise Augostine’s Crochet Paradise. She seems to be missing the picture, though. 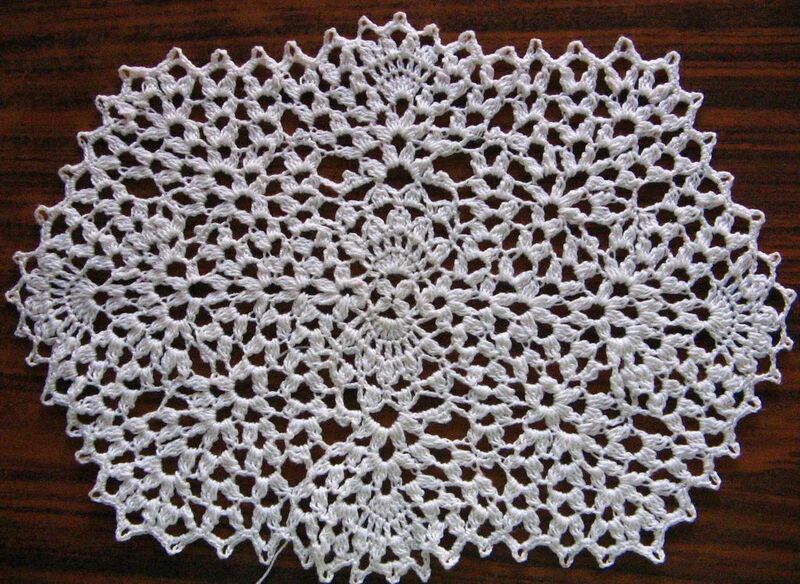 I used a finer gauge thread, so the doily is smaller than the pattern indicated. After doing this I feel like I don’t want to look another cluster in the face!!! Thanks for the link to Crochet paradise. Ulla in the north of Sweden.